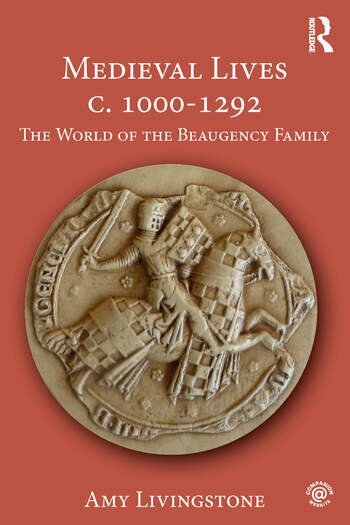 Medieval Lives c. 1000–1292: The World of the Beaugency Family is a gateway into Europe during the Central Middle Ages. Through charting the lives of the Beaugency family, this book delves into the history of Western Europe and explores the impact of the changes and events of the period on those who experienced them. The Central Middle Ages were years of profound transformation, and through the two centuries in which they lived the Beaugency family experienced many of the key developments that have characterized the period, such as the launch of the crusades and the emergence of the commercial economy. By following the lives of the family, this book instills a deeper understanding of the significance that human experience has on our ability to truly comprehend the crucial historical events of the age. It personalizes the history of the Middle Ages and provides students with a unique insight into the culture of the period. Containing maps, genealogical tables, over thirty images, a large collection of previously unpublished archival sources used throughout the book, and accompanied by a companion website with interactive features, Medieval Lives c. 1000–1292: The World of the Beaugency Family is a portal into the lives of the Beaugency family and an ideal introduction to the Central Middle Ages. Amy Livingstone is the H.O. Hirt Professor of History at Wittenberg University (Springfield, Ohio). She is author of Out of Love for My Kin: Aristocratic Family Life in the Lands of the Loire, 1000–1200, and several articles on noblewomen and noble families. She is also co-editor of Writing Medieval Women's Lives and the journal Medieval Prosopography.